Meghan Markle made an appearance at the Sentebale polo match in Windsor today to support her husband Prince Harry. Though the Duchess of Sussex didn’t mount a horse and hit the field, she still played an important role in the competition: she awarded the winning team, which included her hubby. 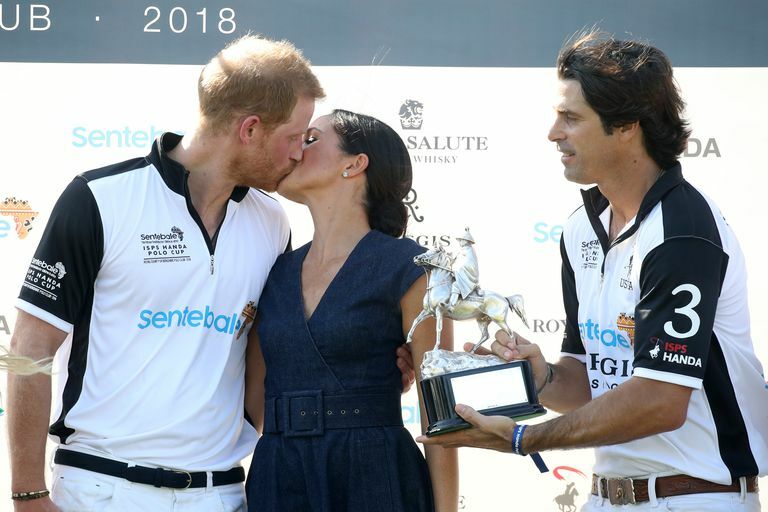 After the match, Meghan met the champions and handed a trophy to the team captain, polo star and Harry’s lifelong friend, Nacho Figueras. Then she turned around and gave her husband a quick kiss and put an arm around him before congratulating the other players. Though Harry and Meghan are apt to show PDA at public appearances, they only go as far as holding hands or linking arms. 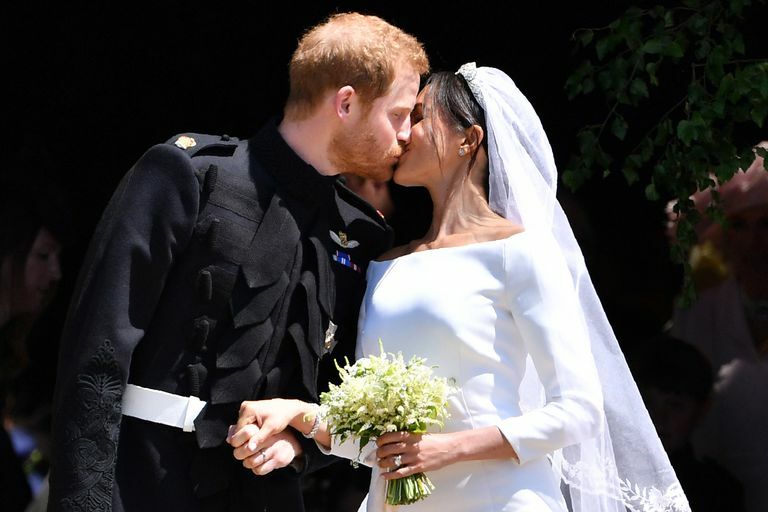 The only time they’ve kissed in public was on their wedding day, outside the steps of St. George’s Chapel. The couple’s decision to get affectionate in public is ultimately up to them and the nature of the engagement they’re attending. At the Queen’s Young Leader’s Awards in Buckingham Palace, an affair they co-hosted with Her Majesty, the couple refrained from hand-holding and any other PDA because it wasn’t appropriate for the setting. Today’s polo match, however, wasn’t an official royal outing, so it was likely more fitting for the couple to get cozier. Plus, they’re a loving married couple—let them kiss if they want to! Good articles can continue producing results to get year or maybe. I visit daily some blogs and sites to read articles or reviews, except this weblog presents quality based writing.